November issue of Trendensers iPad magazine out now! The november issue of Trendensers iPad magazine is now released in AppStore. 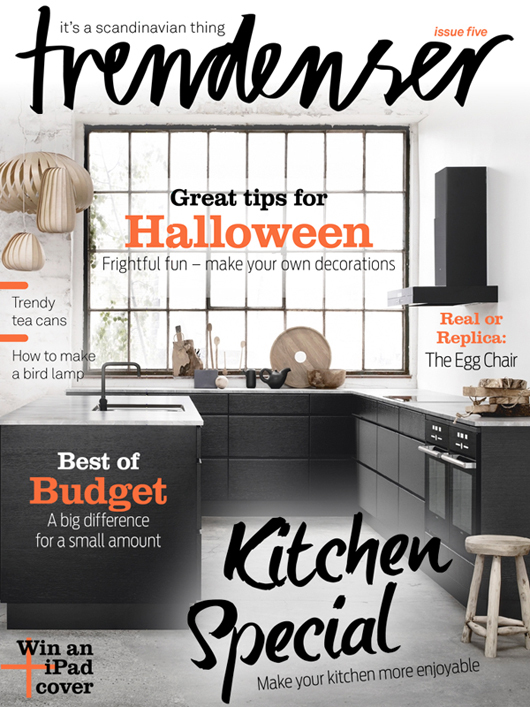 For those of you who have signed up for a subscription it will pop up a small reminder on your iPad (unless you have turned off your push notifications) and for those who only buy single copies this months issue includes inspiring Halloween crafts and a large kitchen special. In addition, you will learn to tell the difference between genuine and fake of the design classic The Egg Chair by Fritz Hansen. 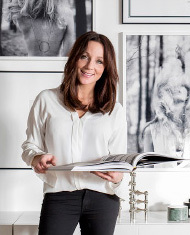 As always there is also lots of DIY tips, my monthly mood board, "What's hot and what's not" and the latest news from the interior design industry in Scandinavia. You can download the app from iTunes. Here's a link!